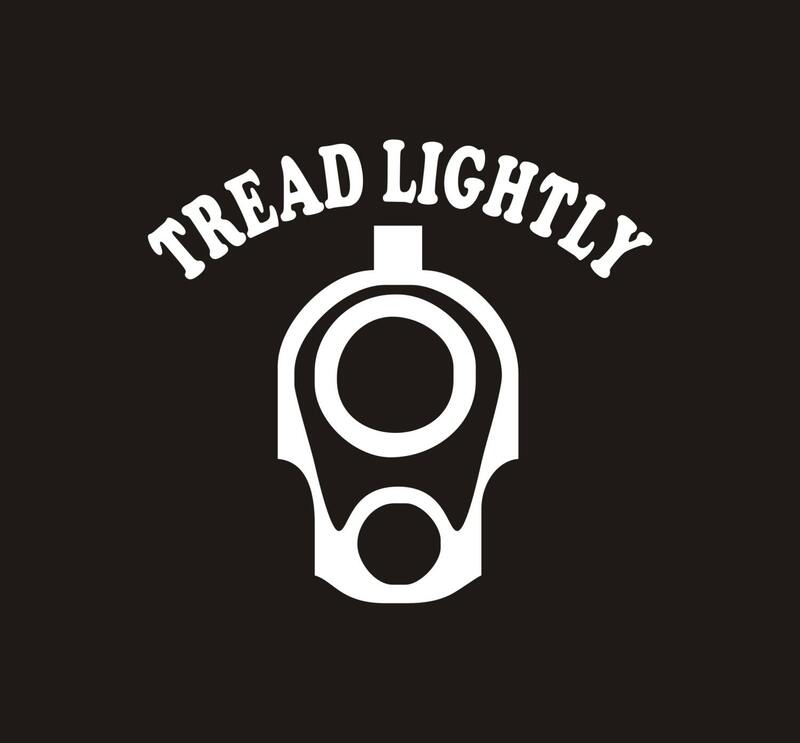 Tread Lightly vinyl decal- A warning to would be criminals. This is becoming a best-seller. 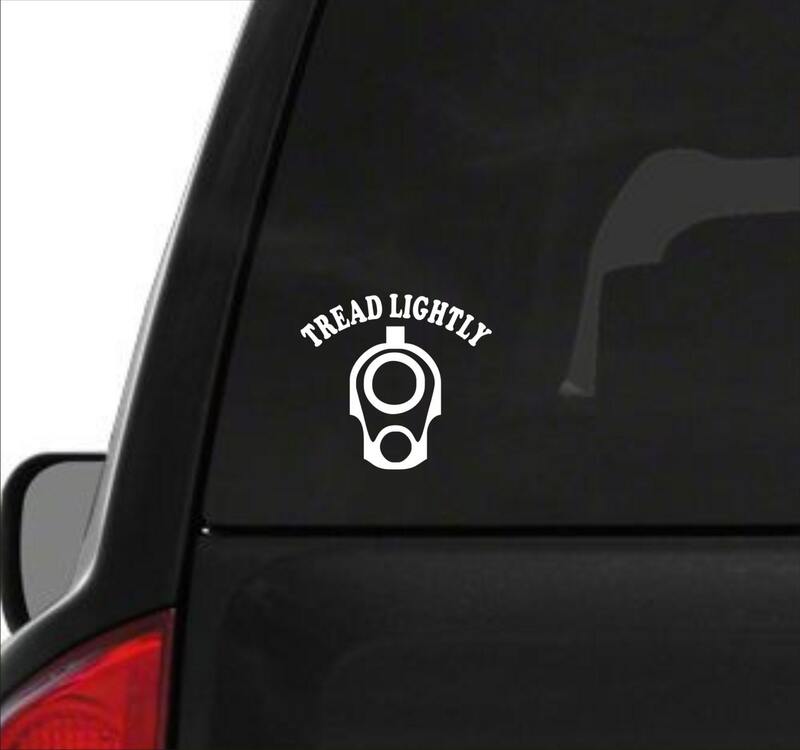 Great for your car or home. Give them a warning or deter any possible assault. We use only high-quality outdoor vinyl. 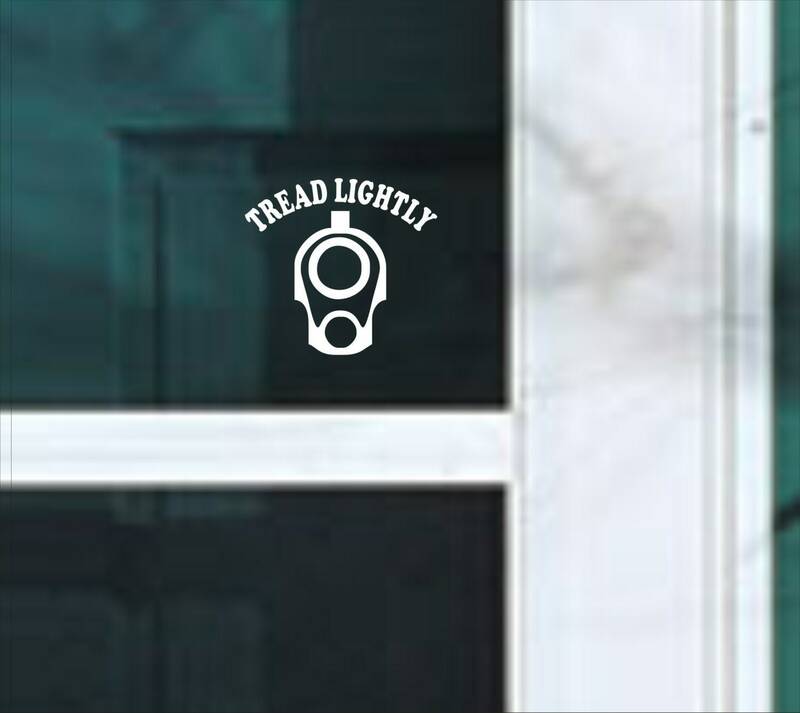 These decals will adhere to any smooth, clean surface. Easy to apply and each order will include application instructions. These are not cheap peel-n-stick stickers! ****ALL of our customer receive a FREE surprise as a "THANK YOU".